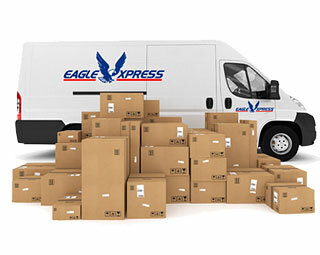 As a professional courier service and a chosen service provider of many nationwide businesses, a working relationship with Eagle Xpress is based on more than simply a ‘you call, we collect, deliver and you pay us’ arrangement, it is about trust. The driving force of the success of our express courier services has been built the relationships built with our clients. From the start we prefer to have a clear mutual understanding, so you know what to expect from our service, and in return we know how to support your operational requirements. All phone calls are recorded for training and quality standard purposes. Eagle Xpress (UK) Ltd is VAT registered. Eagle Xpress (UK) Ltd is ISO 9001 registered. The certification verifies that our systems have been assessed and approved by QMS International Ltd to be following quality management systems, standards and guidelines: ISO 9001: 2008. The approved quality management systems apply to Courier Services. Eagle Xpress (UK) Ltd is registered with the Information Commisioner’s Office under reference Z354148X. We process personal information to enable us to provide a transport service to our customers, maintain our accounts and records, promote our services and manage and support our staff. We also process personal information using CCTV system to monitor and collect visual images for the purpose of security and the prevention and detection of crime. As a responsible business we have the appropriate insurance in place to protect our clients, their goods in transport, our drivers. vehicles and our company.